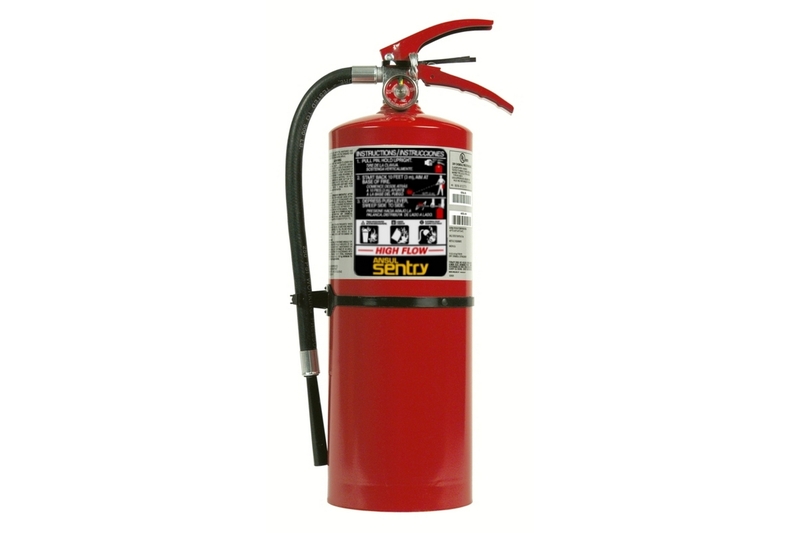 SENTRY High-Flow, Stored-Pressure Fire Extinguishers are designed specifically for commercial, compliance markets. This portable fire extinguisher provides cost-effective, high performing fire suppression to meet the requirements of NFPA 10 Standard for Portable Fire Extinguishers. Applications include propane filling and storage locations, gas/fuel stations, construction sites, maintenance facilities, hazardous material cabinets, small paint booths, marinas, salvage/recycling centers and warehouse/storage facilities.